Cozy two-roomed apartment of 4 beds divided into double bedroom and two sleeping areas in the living room with comfortable open plan kitchen equipped with fridge freezer and electric oven. 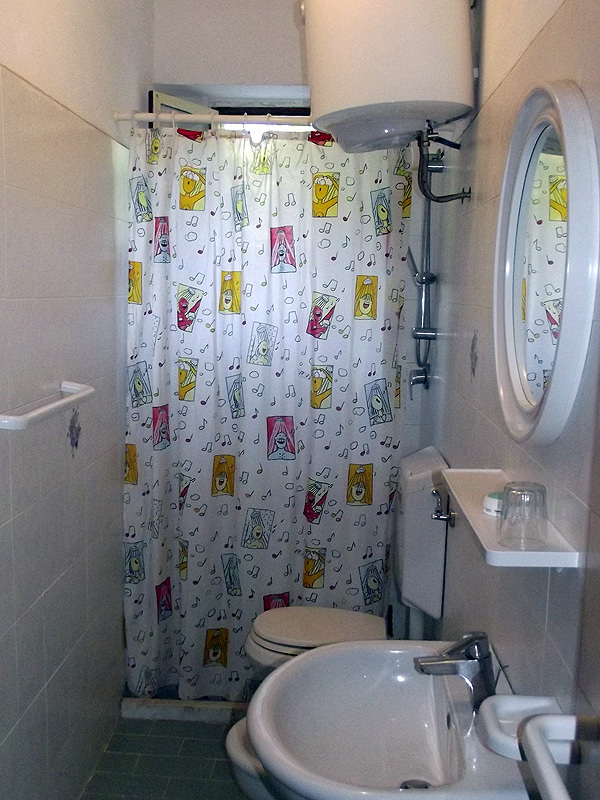 Bathroom with window with shower. The apartment features a veranda with views of the surrounding countryside and features a parasol and table for eating outdoors.